Hi, I’m Gemma and new to the Firebrand Creative team. It’s my second week working at Firebrand and what better way to get to know our clients than to visit them at the Suffolk Show. You may have seen the signage popping up on our roads with the quirky duck designs? Well our talented bunch of designers worked on this cut-out style branding. Despite being the start of June, the weather was decidedly miserable with grey skies and strong winds. Wellies were definitely on the kit list and a warm coat. 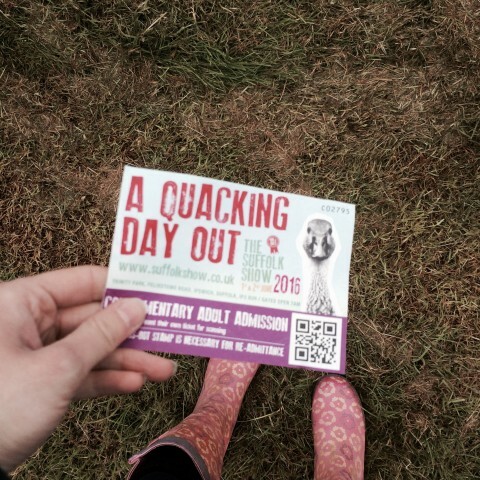 Unfortunately I don’t own a pair of Hunter wellies but my pink flowery ones did suffice. I managed to time my arrival at the show perfectly, firstly I bumped in to an old friend who was doing her stewarding duties on the front entrance, and secondly because it was lunch time! 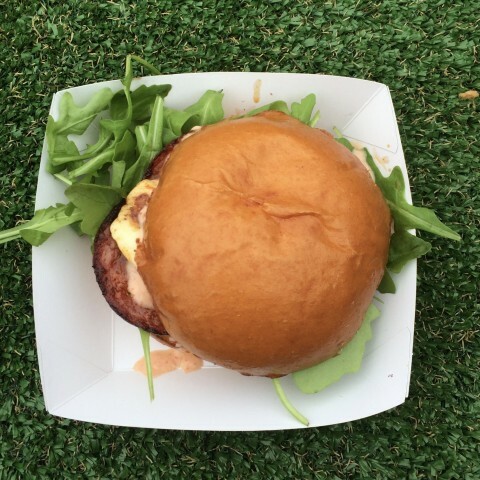 I made a bee-line to one of the many food areas where I chose a chorizo and halloumi roll, served from a vintage Citroen HY food truck belonging to the guys at Black Pig Catering. It’s safe to say it was just what I needed for an afternoon of walking around the show. 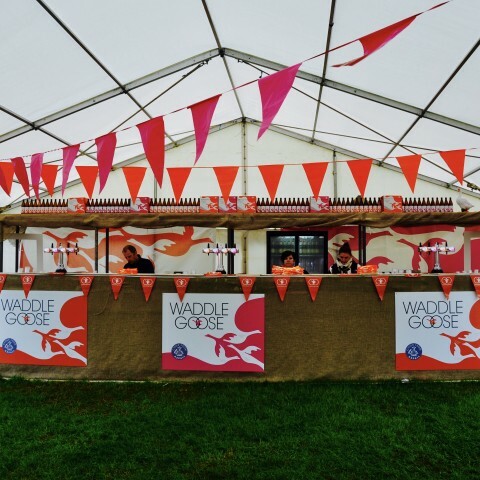 Waddle Goose is one of our latest clients, the FBC team came up with the bright pink and orange branding which looked brilliant at the show, brightening up the grey skies. The orange bandanas were a nice touch too and worn by many visitors and their dogs! 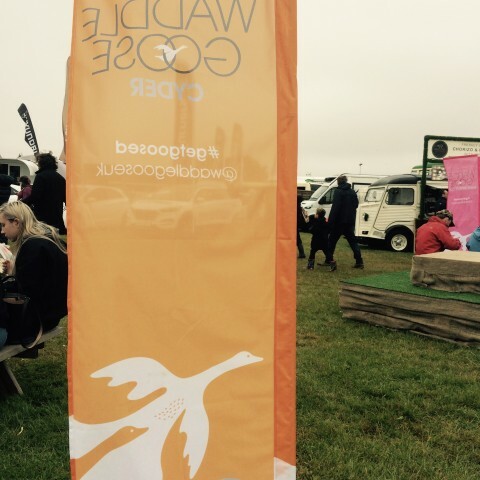 It was great seeing our clients in full swing with foodies queuing up to sample their delicious products. The education area was also buzzing, helped by the ‘take your brood for free’ incentive that the show introduced. Children seemed to enjoy flocking back to their school’s exhibitor stands to see familiar faces, despite it being half-term. 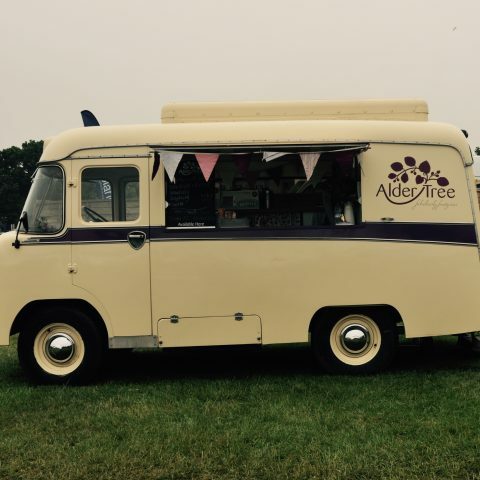 By mid-afternoon I was tempted to try one of Stephanie’s mouthwatering Alder Tree fruit cream ices but it was just too cold for me. 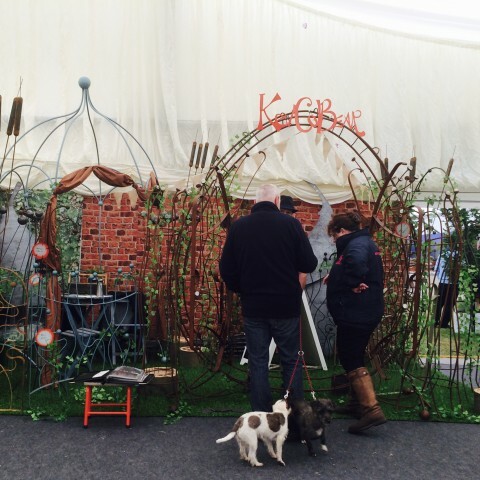 Instead I warmed up in the flower tent and lifestyle pavilion where I bumped in to Kev Colbear, a Firebrand Creative client and fantastically skilled metal worker. I studied sculpture and learnt how to weld at university so I was particularly fascinated by Kev’s striking pieces. 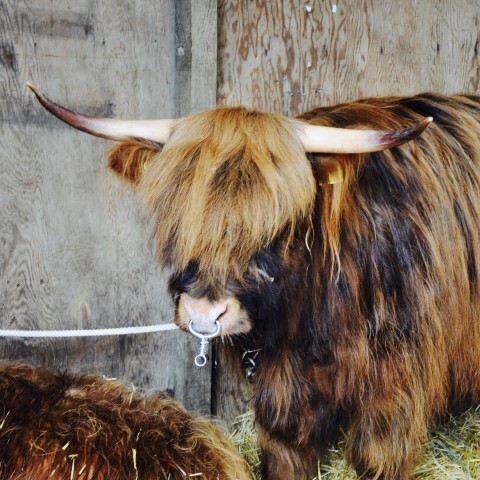 A trip to the show wouldn’t be complete without watching the entertainment in the grand ring and visiting the livestock sheds. On entering the sheds I was surprised to find myself in the same enclosure as the cows who were loosely tied to one side. For some excitable visitors this lack of separation was definitely a good excuse for a selfie, although I resisted, feeling slightly too wind swept! 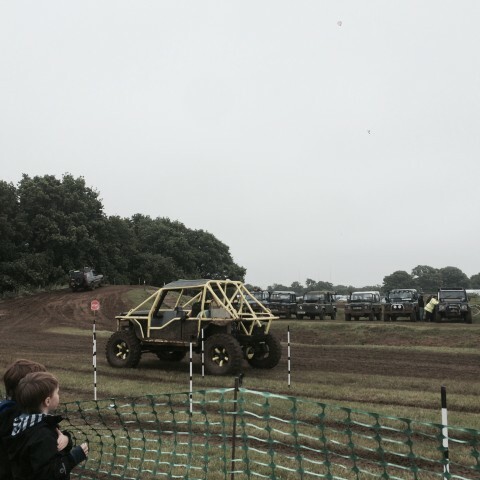 As I left the show I passed the Land Rover Club who had set up an impressive off-road circuit. Maybe next time the whole FBC team can come and test their driving skills, team building? I returned to the Firebrand Studio with some delicious ‘Gourmet Brownies’ having caught my eye in the Food Hall at the show. I opted for ‘raspberry delight’ convincing myself it must be good for you – it contains fruit. 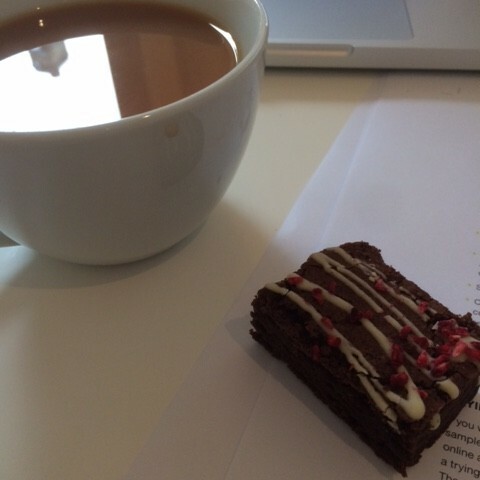 Either way the brownies from the family baker based in Cambridge were delicious served with a cup of tea. It really was a quacking day out. 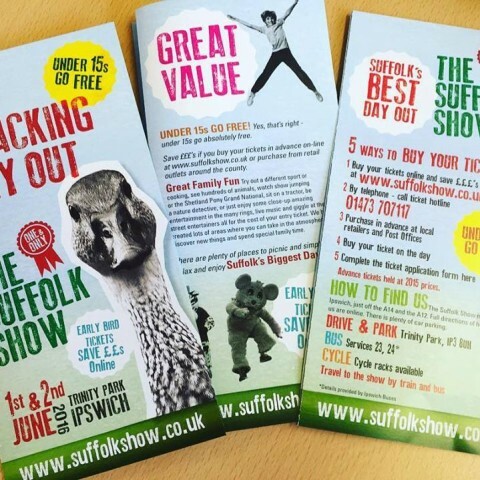 If you were inspired by any of the branding or design that you saw at the Suffolk Show then let us know on twitter @firebrandtweets.